While last week we watched as Go developers wrung their hands over the upcoming Golang 2.0 release, the big news this week in the world of programming was certainly Microsoft’s announcement of .NET Core 2.0 alongside the latest version of Visual Studio 2017 and the .NET 2.0 Standard. So the previous way of sharing code across multiple platforms was the Portable Class library, and it kinda sucked. The more platforms you attempted to support the fewer APIs you could access. Working with the lowest common denominator just doesn’t scale. .Net Standard effectively inverts this. It defines a set of APIs that all .Net platforms can implement. With each release of .Net Standard the number of APIs has increased. Over at Business Insider, the move is described as part of “Microsoft’s ambitious plan to win over app creators,” which it calls a drastic shift from its initial efforts to offer Windows-only effort first announced in 2002 to build business software. While .NET Core, the multiplatform, open-source version of was first announced in 2016, the latest version “adds a bunch of technology from the standard version of .NET, bringing the younger offshoot closer to parity with the original model,” as well as bringing performance boosts and security updates. As we look into other news we noticed in the programming world this week, we’ll offer up a few more in-depth looks at the .NET announcements before moving on. Infoworld explores the simpler .Net Core and standard .Net APIs and offers a quick guide on everything you need to know about .NET Core 2.0, calling it a “smart move” that is “the start of Microsoft’s push to be the dominant platform for complex containerized applications”. Let’s start first with a gem from the archives: A FORTRAN Coloring Book from 1978 that can only remind us of the days when cartoons taught us all the ins and outs. In keeping with the theme, we noticed this seemingly valuable list of 32 Free Online Courses and Certificates that might help you avoid enrolling in a code academy that’s likely to join the growing list of collapsing endeavors. And for those of you already well on the way, this Github library offers Popular Algorithms and Data Structures implemented in popular languages. While, like myself, you may have dabbled since the days of BASIC, or perhaps dove deeply into all aspects of programming, some aspects can just disappear into the woodwork. If you’ve ever wondered about the inner workings of compilers, then this Intro to Compilers may be for you. 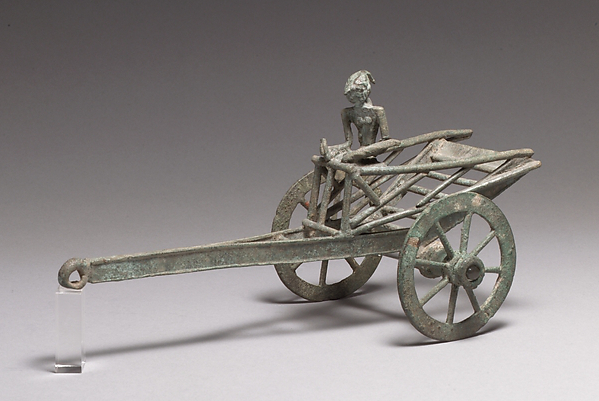 Feature image: 15th century “pull toy of a cart and driver,” from Indonesia (East Java), courtesy of the New York Metropolitan Museum of Art, public domain.